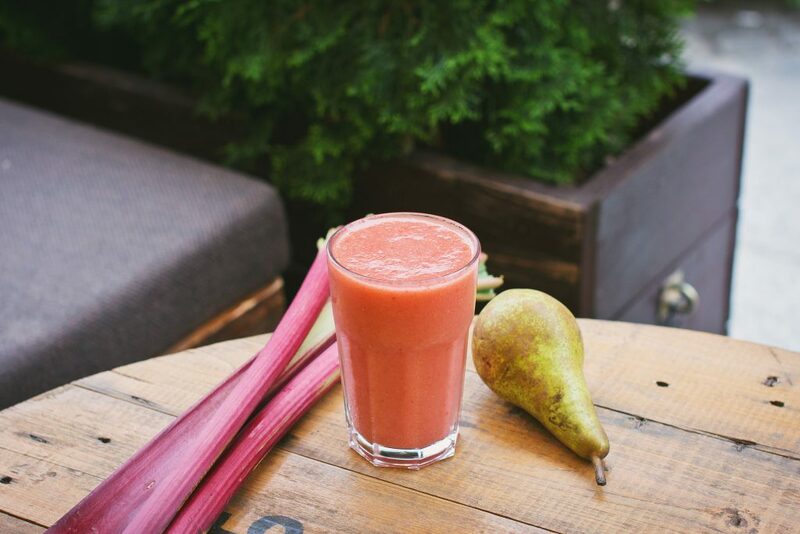 Fear not, the sweetness of this refreshing smoothie is sourced from whole fruits including one of the more trendy superfoods: Lúcuma (Pouteria lucuma). This golden Peruvian fruit contains beta-carotene, iron, zinc, vitamin B3, calcium, fibre and protein. It comes in a powdered form and is a low-GI sweetener, meaning it won’t give you the spike and crash that white sugar or high-fructose corn syrup do. On its own, lúcuma tastes like something between maple syrup and caramel. At last, a green smoothie without spinach. Green tea, basil and moringa (Moringa oleifera) give this drink its deep, rich colour and the peaches are a subtle reminder of summer days. Moringa is rich in protein, calcium, iron, vitamin C and antioxidants. Guyusa tastes like green tea without the bitterness. Its naturally high caffeine content offers a ton of jitter-free energy along with twice the antioxidants green tea provides. High-fat breakfasts are making a comeback, but this time the key is to have high-quality/ITC fat. Coconut oil and sunflower seed butter deliver instant, long-lasting energy. Chlorella, a freshwater algae, provides a boost of antioxidants and iron. That, plus the protein content of this smoothie make it ideal for vegan and vegetarian women.